Even if Everton fail to land their number-one transfer target this summer, the Toffees will once again prove to be the team to back in Ladbrokes’ market excluding the so-called big six. The bookies have the Goodison Park mob at 4/11 to finish top of the Premier League pile excluding both Manchester clubs, their city rivals, Arsenal, Chelsea and Tottenham – while Newcastle are next in the betting at 10/1. Roberto Martinez is still hoping to add Chelsea striker Romelu Lukaku to his playing staff on a permanent basis, but even if this deal can’t be brokered there is enough evidence to suggest this bet is a banker. For starters, only Newcastle’s surprising fifth-place finish in 2010/11 prevented the Toffees from scooping this unofficial award the last four seasons. David Moyes may have sullied his highly-respected reputation by events that unfolded at Old Trafford last season, but it shouldn’t be forgotten that the Scot left his successor with a particularly healthy squad given his budgetary restraints. Finishing sixth above Liverpool in 2012/13 was no mean feat and rather than hinder any progress Martinez’ appointment only enhanced it, as he marched the Toffees to fifth last season, above Spurs. Moreover, Everton were on the cusp of usurping top-four staples Arsenal having leapfrogged the Gunners with just five games remaining, only to come unstuck at the bitter end. 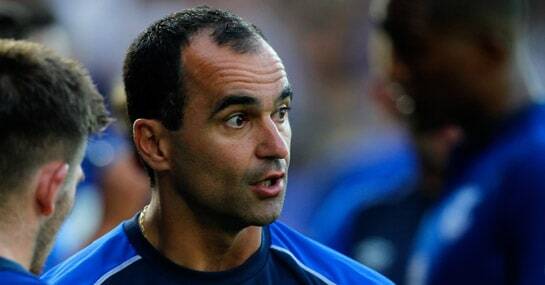 Things only look set to improve for Martinez now he has bedded in at Goodison. Crucially the affable Spaniard has so far managed to tie stars such as Leighton Baines, Seamus Coleman and latterly Ross Barkley to new long-term contracts, which is huge for the Toffees’ progression. Of course Lukaku’s signature would be the absolute clincher, but even without their top scorer of last season, there’s still time left in the transfer window to find other quality centre-forwards.